There was a big buzz in the publishing world about this book. The manuscript sparked a bidding war, and Simon & Schuster actually started a new imprint, Scout Press, around it. The reviews from the book journals were glowing. So I had to read it for myself, and yes, I had to agree that it was pretty great. The book starts out with a tragic premise. June Reid loses everyone she cares about in a fire on the eve of her daughter’s wedding, including her boyfriend, Luke, her ex-husband, and her only daughter. 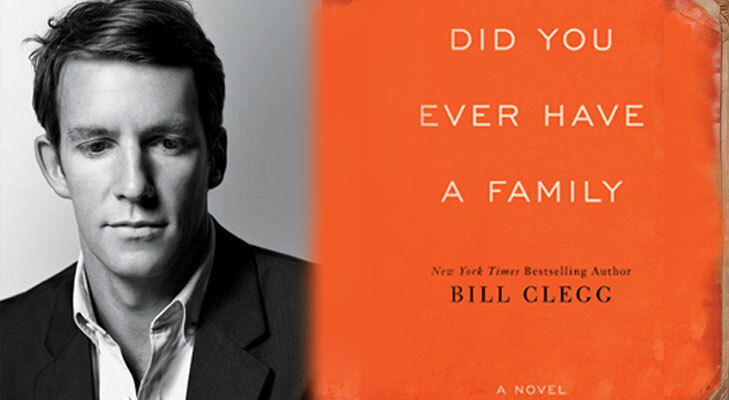 Clegg spends the rest of the book gently exploring what that kind of loss can do to a person and how they survive it. What makes the book interesting, and more powerful, is that it is not told solely from June’s point of view. Instead, Clegg speaks through the voices of a variety of people who were somehow touched by the fire, from Lydia, Luke’s vulnerable, down-at-the-heels mother, to pot smoking teenager Silas, one of Luke’s employees, to June herself. It’s not so much one story as a group of individual tales coming together to make a well-crafted whole. This is a heartbreaking book, but never maudlin. I wasn’t sobbing through it—it just left me feeling melancholy and thoughtful. The language is beautiful, the characters fascinating, and there’s an element of mystery that kept me turning the pages: how did the fire start? (At least one of the characters knows, but that person isn’t telling.) This is a lovely, captivating read. October 6, 2015 in Read - Watch - Listen.